Fifty-nine (59) employers representing approximately 205,000 employees provided data for 869 job positions ranging from entry level to executives for C2HR’s 2018 Compensation Surveys. The survey results identified the jobs with the highest salary increases, the driving forces behind compensation trends and valuable benchmarks for merit increases, long term incentives, bonuses, amenities and more. In 1993, the terms CHRO, telecommuting and onboarding did not exist. The World Wide Web was in its infancy, and the closest thing to streaming was a VCR. To reflect the transformation of the world in which our members work, our Association has changed its name to Content & Connectivity Human Resources (C2HR). In addition to a new name, our association has a new president! 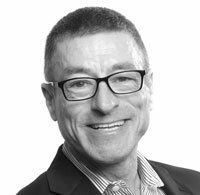 We sat down with Tom, Vice President of Human Resources for A+E Networks, and asked him to share insight into the year ahead and highlights from his 24 years as an industry HR executive. As a bonus, we also tapped Tom for some travel tips and he even shared his guilty pleasure. Keep reading to get to know Tom. Did you know that our website features a collection of HR articles searchable by topic? This month, we direct your attention to employee engagement. On our website, you’ll find articles by Reuters, CNN, Forbes, Harvard Business Review and other publications. 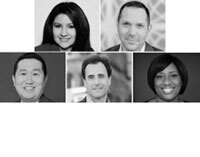 C2HRs 2019 Board of Directors includes five new members: Angela Auz, vice president of human resources (HR) for Univision Communications, Gino Marliani, Chief People Officer at Fuse Media; Conway Shui, Senior Vice President of Executive Search for CBS; John Warrack, Partner at JM Search; and Sharon White, Vice President of HR, East Coast, for Home Box Office Inc. We welcome each of them and look forward to their contributions in the year to come!